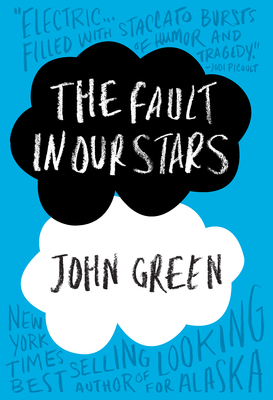 I’ve been putting off reading The Fault in Our Stars for a while now, having the distinct impression it would be very hard to read. And I was right, it was quite horrible emotionally speaking. I think I spent half the time crying, maybe more. And obviously bawled like a baby at the end. The world of this novel is painful, uncompromising, brutally honest and most often cruel. It’s something quite different from many of the novels I read these days, that feel the need to give us a better-than-regular-life story or version of one complete with a HFN or HEA ending. The Fault in Our Stars doesn’t go that way at all; it’s a concert of tragedies, and shines all the more light on the truly beautiful and touching aspects of life. In fact, if I think of it this way, reading this novel was a bit like having an impeding doom looming right over me. Everything was put in different perspective, everything meant so much more and yet so little. Hazel Grace was, most likely, the best character I’ve read this year. She had that cynical yet candid way of understanding and describing things that you rarely find in protagonists. I loved her immediately, and appreciated her truly graceful nature more and more as the story developed. She had a marvelous voice, an almost tangible presence and raw emotion that you just can’t get over too easily. But it made reading the novel all the harder, especially because I loved her so much. It made me feel outraged at the injustice of it all, because I suppose deep down inside we all wish the world would be a wish-granting factory, don’t we? Augustus Waters was, if possible, even easier to love. He was indeed magnificent, fully deserving the Latin honorific. I fell in love with him as Hazel Grace did, and I suffered like I wouldn’t have dared imagine I might by the end. He was everything I could think to be awesome in a person, all of it in this awesome guy. And I felt that way a lot because Hazel did, too. They were a beautiful, almost perfect couple, and the kind of connection and love they shared was beyond happiness or romance tropes. It’s going to stay with me forever, tucked into my heart. It left its scar on me, and I’m happy for my choice. Peter Van Houten was especially interesting to me, and if you won’t mind my saying so, I found something about him very God-like. After creating a masterpiece, he abandoned it, distanced himself from it and went as far as saying that the characters of his novel, An Imperial Affliction, only lived within the fiction and died when the story ended. I think it takes a particularly deep understanding of life and people to write stories that touch people so deeply, but sadly when being so observant you’ll see all the horror of the world magnified as well as its beauty. And who knows on which one of the two you’ll be able to focus on? Hazel’s mother was also interesting, and John Green shined a very interesting light on the caretakers of people with ruthless diseases. There’s a certain degree of selfishness in taking care of loved ones who are gravely ill, I’ve seen it often. A desperate need to cling to this person beyond the point of that person actually having a tolerable life, sometimes. Love can manifest in some strange ways in such extreme conditions, and it’s not always as beautiful as we might desire. In the end though, I felt Hazel’s parents managed to love her selflessly, or as selflessly as one might love someone. The story itself is heartbreaking and yet so simple, one might say. Filled with gallows humor and ridiculously deep and poignant moments and lines, it’s in my humble opinion a masterpiece. Pure genius, a whole novel of grace as opposed to just one moment. And the ending makes it all the more real and raw. Because beauty, the deep enough to be disturbing kind, fades. And you’ll remember its greatness all the more because you lost it. The plot of this novel is an emotional roller-coaster. It’s a story about pain, suffering, the injustice of life but also its mindblowing moments of surreal beauty. It’s bound to make you feel all kinds of joys and sorrows. It’s a life, intense and brutal, packed into a book, a world all on its own. It’s magnificent. The height of grace is the writing, if you ask me. Not only did the characters have unique and memorable voices, but they said, thought and felt the most fascinating things. The almost disconcerting mix of humor and tragedy, really, kept me in a state of emotional extremes and despite trying to coach myself about the incoming likely event, everything hit me out of the blue and with atrocious force. I don’t really practice the re-reading, few books hit me that deep and that personally that I feel the need to do that. And after all the crying I did reading this, there’s a part of me that’s terrified of trying to read it again. But I know I will. Just like Hazel, I will return to my “An Imperial Affliction“, and I will remain in great awe of the genius of John Green just like Hazel was in awe of Peter Van Houten’s genius when writing his novel. If you haven’t read this story yet, I won’t spoil it for you, as I generally do my best to not spoil your read. But know that this is not a HEA at all. In fact it’s a bitter, miserable end, and when starting to read this you embark on a journey of hurt. But you knew that already, didn’t you? The blurb of the novel hints to it well enough. This is a tragic story about life as it is, with its moments of beauty and of abject horror. Knowing that, be brave and live this story, embrace it; let it do its magic on you, it will most likely sweep you off your feet and leave a lasting mark.